California law requires employers to take reasonable steps to prevent and address alleged discriminatory and harassing conduct, to provide a government-issued brochure on sexual harassment to all employees, and to conduct sexual harassment prevention trainings if the employer has 50 or more employees. As of April 1, 2016, the California Department of Fair Employment and Housing (DFEH) has enacted regulations that will require employers to develop written anti-discrimination and harassment policies with certain content requirements. Create a complaint process that establishes a complaint mechanism, is as confidential as possible, ensures a timely response and investigation by qualified personnel, provides for documentation and tracking to ensure reasonable progress, provides for appropriate remediation actions and resolutions, and enables timely closure of the investigation. The new regulations also provide that the policy must indicate that the employer will conduct a fair, timely and thorough investigation when it receives allegations of misconduct, that confidentiality will be ensured to the extent possible, and that if misconduct is found at the end of the investigation, prompt and appropriate remedial action will be taken. The policy must also instruct management and those with managerial responsibilities to report any complaints of misconduct to a designated company representative to attempt to resolve the complaint internally. Additionally, the policy must also make it clear that the employer will not retaliate against an employee who submits a complaint or participates in a workplace investigation. By discussing the policies upon hire and/or during a new hire orientation system. 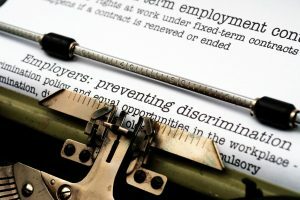 When determining how to structure your anti-harassment and anti-discrimination policy, we recommend that you contact our San Jose corporate lawyers at Structure Law Group, by calling 408-441-7500 or emailing us to discuss your own particular situation.